Join us for our Spring 2019 concert on Thursday, May 9th, at 7:00 P.M. at Belmont Books (79 Leonard Street). We will perform a mix of American and traditional songs, and will close with our signature audience sing-along. The performance is free and open to the public. Come one, come all! We were plea​sed to present two performances during the 2018 Holiday Season! Town of Belmont Tree Lighting. We gave an outdoor performance at Belmont's Tree Lighting Ceremony on Thursday, November 29th, just after the Town Tree was lit, in downtown Belmont. Winter 2018 Concert. 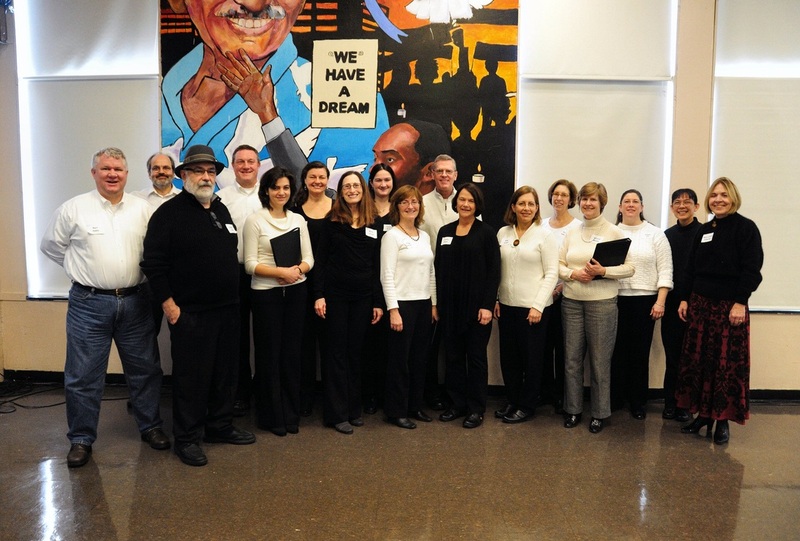 ​Our December 11th concert at the Beech Street Center, on December 11th, featured a mix of American and traditional songs, as well as piece by Bach, along with our signature audience sing-along. We are grateful to the Belmont Council on Aging for inviting us to share our winter program with the community. The concert was free and open to all! We were pleased to present our spring concert on Tuesday, May 8th, at 6:00 P.M. at the Beech Street Center, located at 266 Beech Street in Belmont. The program featured a mix of American and traditional songs, along with our signature audience sing-along. We are grateful to the Belmont Council on Aging for inviting us to share our spring program with the community. The concert was free and open to all! We presented our winter concert on Tuesday, December 5th, at 6:00 P.M. at the Beech Street Center, located at 266 Beech Street in Belmont. The concert was free and open to the public, and was sponsored by the Belmont Council on Aging. We sang selections from Handel, Irving Berlin, and more, and closed with our signature holiday singalong! ​Our Spring 2017 concert was held at the Beech Street Center in Belmont on Tuesday, May 2nd. Our program featured a mix of traditional American songs, Scottish and Zambian folk songs, and the traditional spiritual "Let My People Go". We closed the concert with our signature audience sing-along. Many thanks to the Belmont Council on Aging for hosting the group again. We were very pleased to present two holiday concerts in December 2016. Our first concert, hosted by the Belmont Council on Aging, was held at the Beech Street Center in Belmont on Tuesday, December 6th. Our second holiday concert, sponsored by the Belmont Woman's Club, was presented at the 1853 Homer House, on Pleasant Street in Belmont, on December 14th. Each concert was free and open to the public. In addition to sharing our holiday repertoire, we closed with our signature sing-along of holiday songs at the end of each performance. We appreciated members from the Belmont community joining us in ringing in the holiday season with song! Our Spring 2016 concert was held at the Beech Street Center in Belmont on Tuesday, May 10th. The concert featured a mix of traditional American songs, pop favorites from the Beatles and Billy Joel, and Handel's "Hallelujah, Amen"; we closed with our signature audience sing-along of popular tunes from yesterday to today. We are grateful to the Belmont Council on Aging for their support. 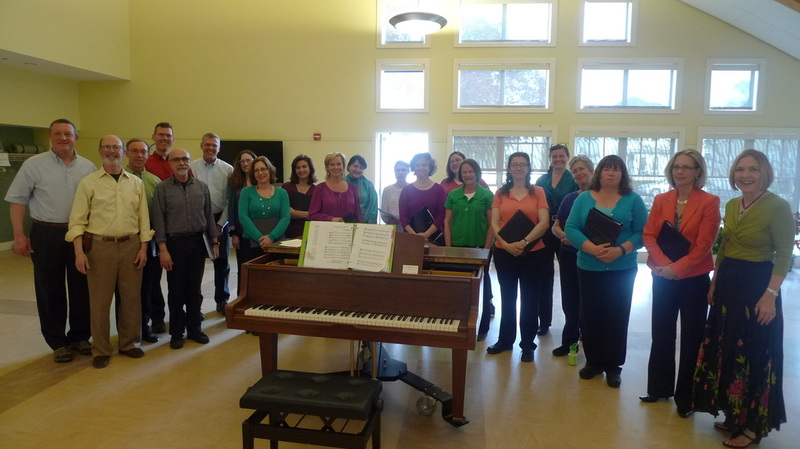 We held our Fall 2015 concert at Neville Place in Cambridge on December 13th, 2015.